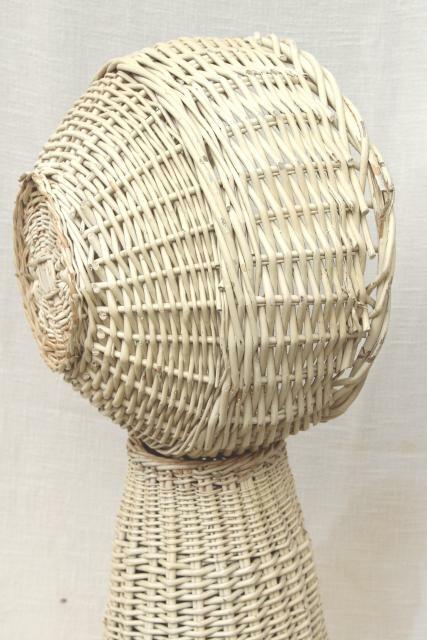 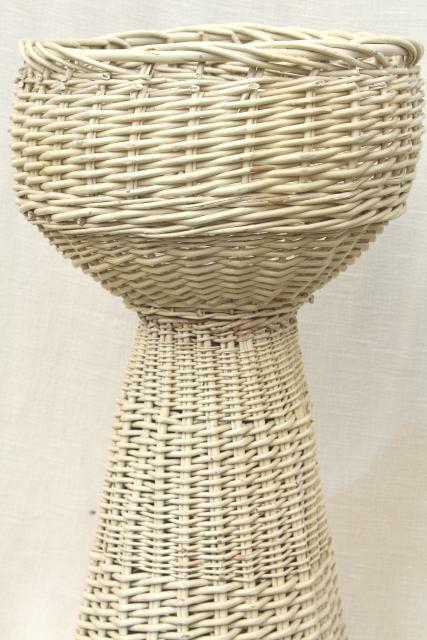 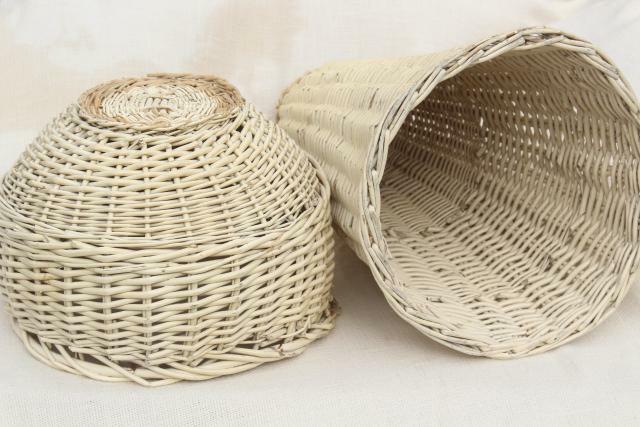 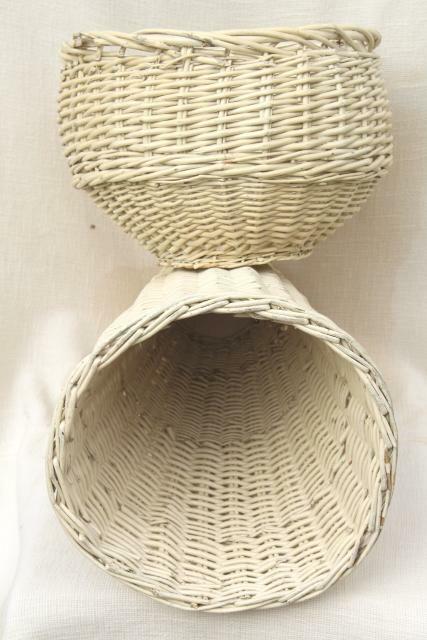 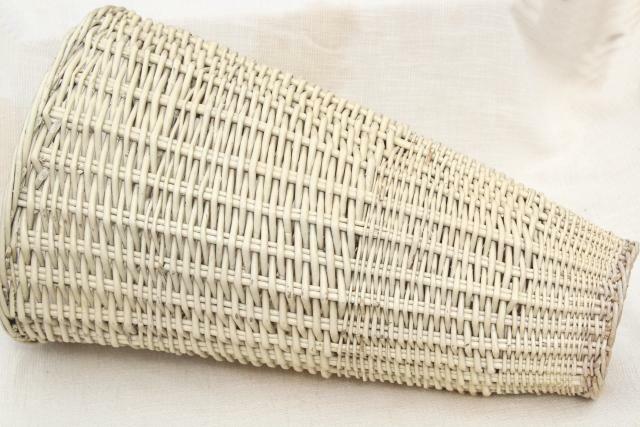 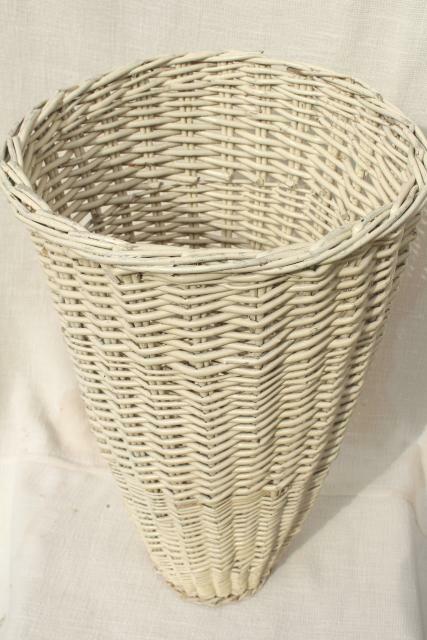 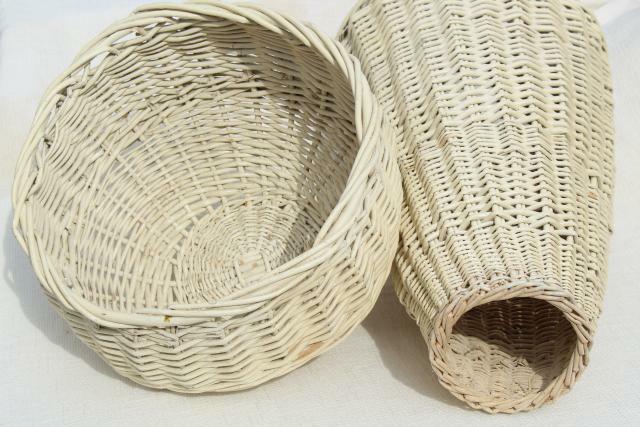 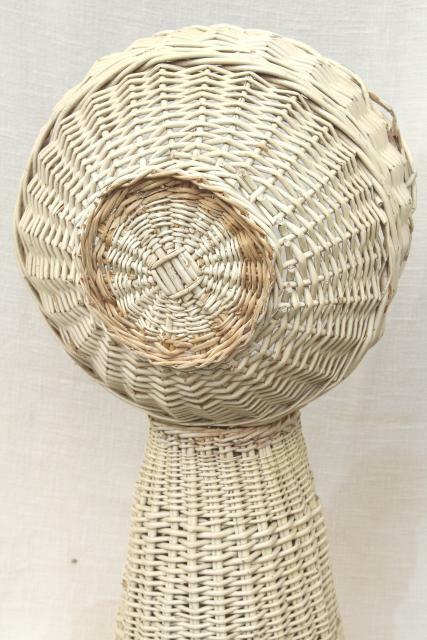 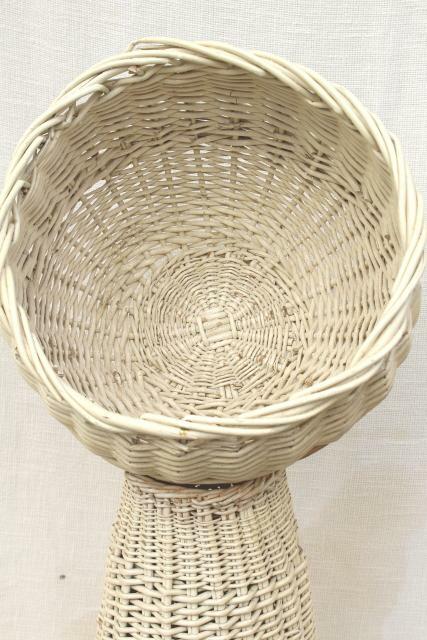 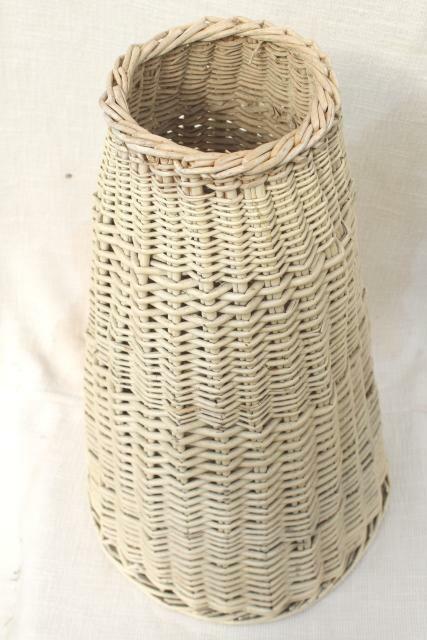 Vintage wicker or rattan plant stand - basket and separate pedestal - both with a nice old white painted finish. 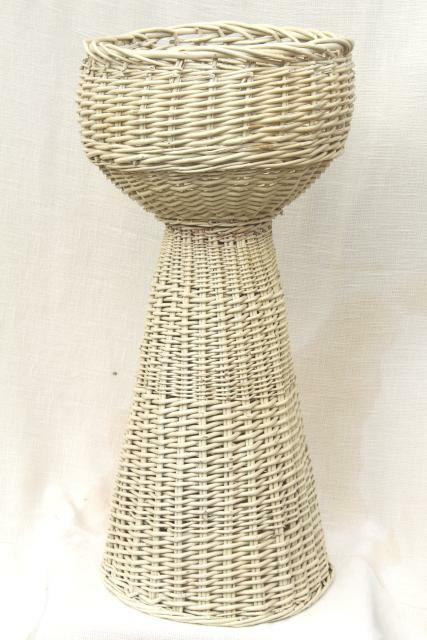 These stand 28" tall put together, with basket measuring 9" deep x 13" in diameter. 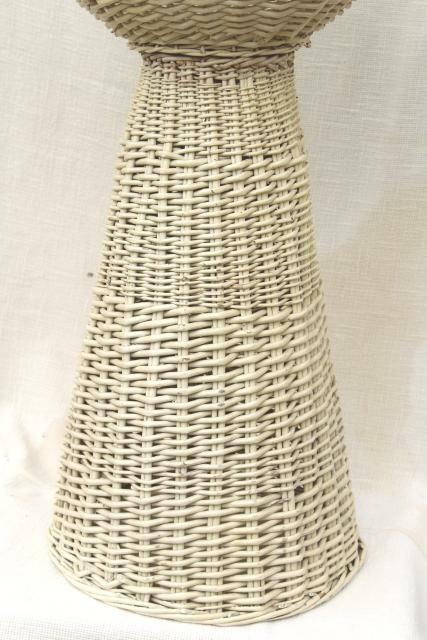 It's roughly mid-century vintage, I think - sometime between late 50s to late 70s. 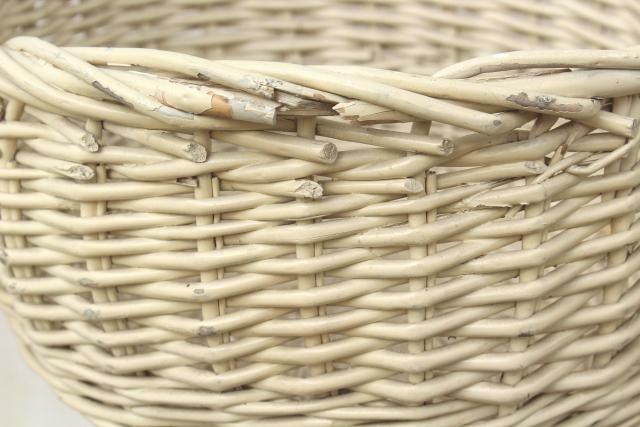 It's good and solid, not brittle from age or use.